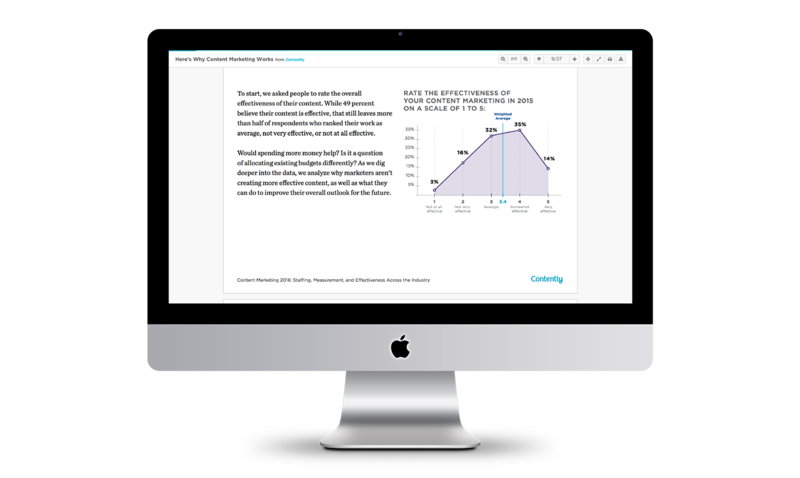 Docalytics is a unique content measurement tool that allows marketers to track engagement across sales enablement and marketing collateral. How can you tell if someone reads your e-books, playbooks, presentations, and more? Views by page: How many people are reading specific pages in your documents? How many times are people referring back to those pages? Time spent on page: How much time are people spending on certain sections of your document? What do readers find most engaging? 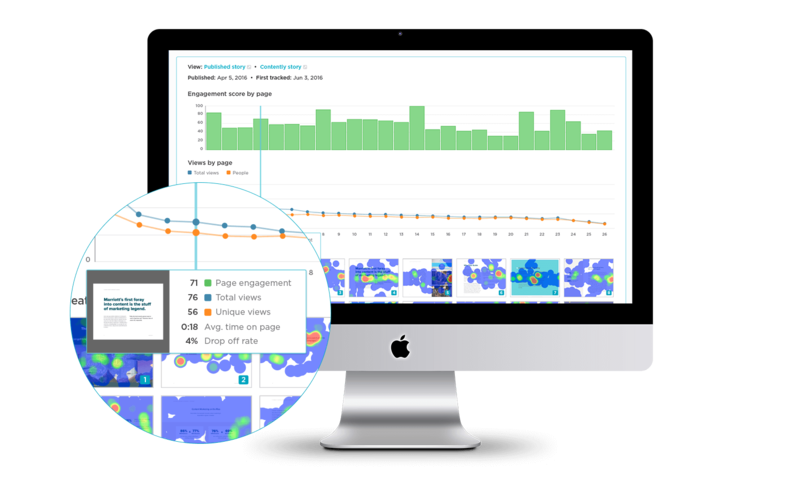 Heat maps to see which content your readers are interacting with: Where are they clicking, copying, and pasting? Where is the content the most hard-hitting to readers? Scrap content that isn’t as engaging and give readers what they want. Interested in getting the most engaging content in front of your audience? Content engagement insights: Collect first-party data within your content marketing to see what your audience is engaging with and where they drop off. Lead-form optimization: Get higher-quality leads by inserting lead-generation forms where users are most engaged in the document. Document version control: Optimize and amend documents at scale in live campaigns while maintaining the same URLs.